It's exam time for students! Did you know that there are tutors available to provide support in English, Math, Human Biology, Physics and Psychology at Albany Public Library? 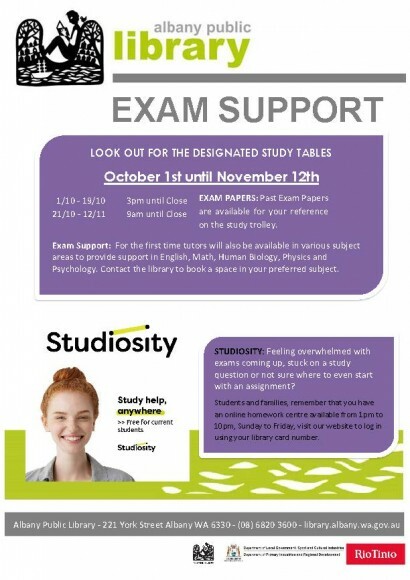 If you know someone that would benefit from some exam support then look out for the designated study tables until November 12 at the library.